Another NBA team stepped up to help our cause...the Utah Jazz! The Jazz sent us a package that included 4 signed postcards. 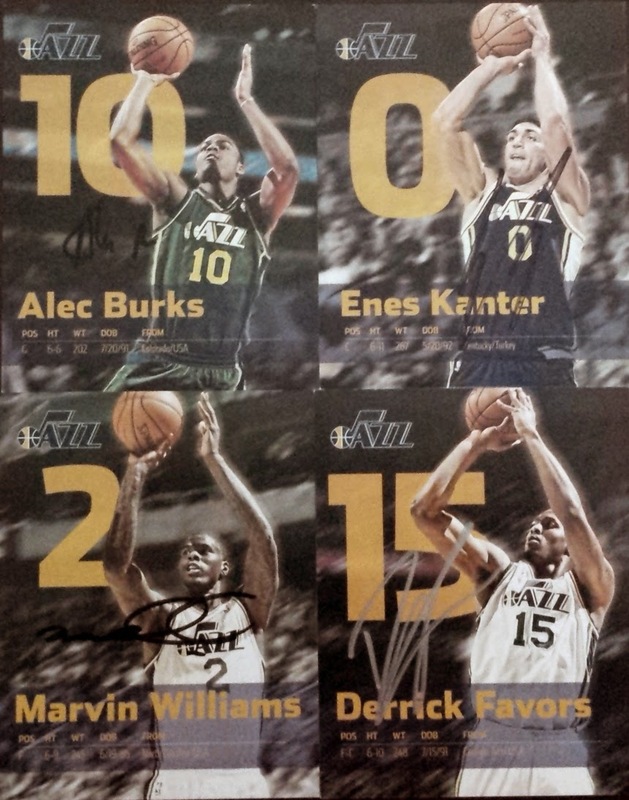 They are from Marvin Williams, Derrick Favors, Enes Kanter, and Alec Burks. Thanks you so much to the Jazz for helping us.